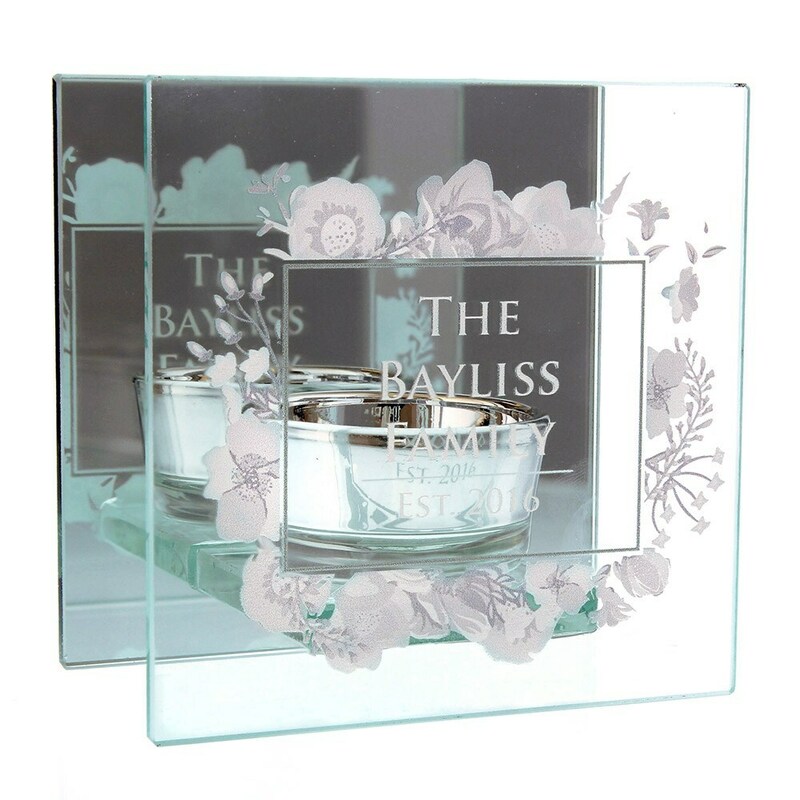 Buy Personalised soft watercolour mirrored glass tea light holder: This attractive tea light holder makes an eye-catching addition to any room and can be personalised to make a unique gift for Christmas, Mother's Day, weddings and more.<br><br>Made from mirrored glass with etched watercolour flowers, the front has space for your own four-line message with up to 12 characters per line. Lines 1, 2 & 3 will appear in bolder font than line 4. 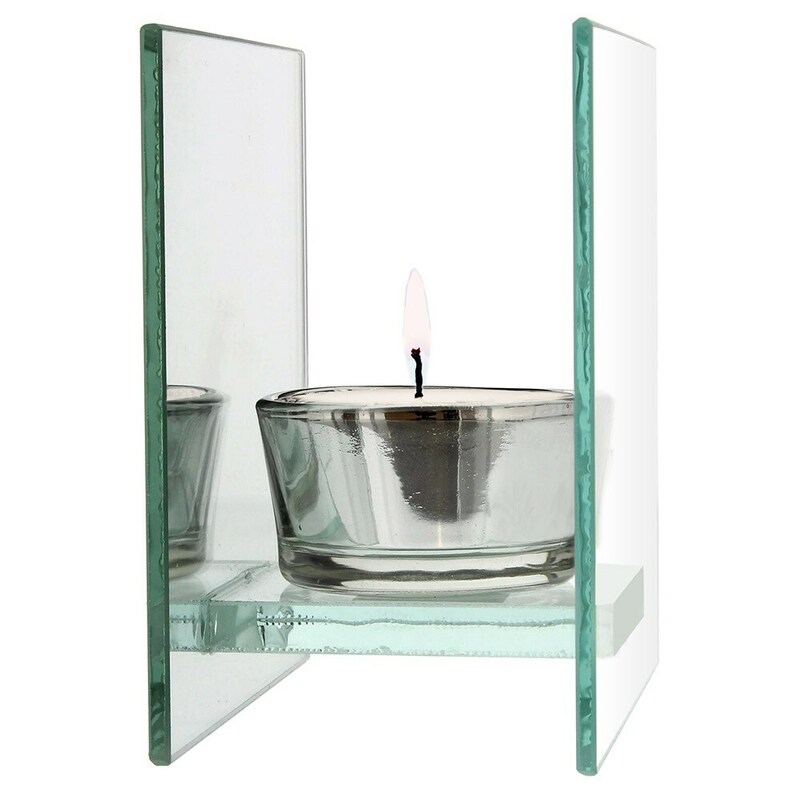 All personalisation will appear in upper case.<br><br>Please note: tea light candle not included.<br><br>Measurements:<br>W10cm x H10cm x D6cm<br><br><b>To personalise this gift:</b><br><br>1. Pay for your item.<br>2. We'll send you an email requesting your personal message. Please provide the details exactly as you would like them to appear, as gifts cannot be amended or returned after personalisation.<br>3. For standard delivery items, please allow up to <b>5 working days</b> after we receive your reply. This attractive tea light holder makes an eye-catching addition to any room and can be personalised to make a unique gift for Christmas, Mother's Day, weddings and more. Made from mirrored glass with etched watercolour flowers, the front has space for your own four-line message with up to 12 characters per line. Lines 1, 2 & 3 will appear in bolder font than line 4. All personalisation will appear in upper case.